"Fit 4 You". We provide specific, progressive, balanced training plans to elicit improved fitness that has you ready to race. Our coaching includes regular testing, video and data analysis, and consistent communication to help athletes reach their potential. 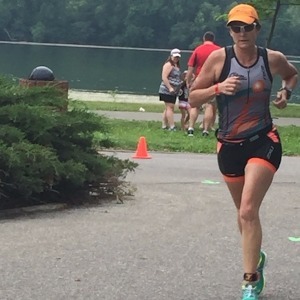 Angie Smith is the founder of Fit4You Coaching and Training and a USAT Level 1 certified coach, TrainingPeaks certified coach and Swim Speed Secrets Certified coach, bringing over 20 years of coaching experience. She has been involved in triathlon since 2004 and in the running community since 1995. She has numerous age group wins, top ten finishes and an overall race win to her credit. With a Master’s Degree in Education she has expertise in teaching skills that translate into improved performance. She will work with you to design a roadmap for your success that is BALANCED and PROGRESSIVE. Coach Angie can help you fine-tune your skills and biomechanics to become a better triathlete. Whether you are looking to complete your first race or have been racing for years, Angie can create a balanced, specific approach to training while allowing you time for fellowship and fun along the way. Because really, if you're not having fun, why bother?! Success. Coach Angela Smith has been notified of your message.